It’s time to announce the details of our March #twstaste! After a quirky pair of South African bottles last time, we’re moving back to our usual Thursday slot and doing our first ever white-wine-only virtual tasting! New Zealand sauvignon blanc is one of the UK’s best-loved wine styles - but what if you’d like to branch out and find something similar, but different? Make sure the wines are nicely chilled on the day… and if you like, invite some friends over or prepare some matching food. Join us just before 8pm here on The Community on March 21st - there’ll be a new topic called ‘LIVE TWSTaste: New Zealand Sauvignon Alternatives’ all ready open and ready to go. We’ll taste through the wines together and give our thoughts. Don’t worry if you’re new to wine: we’re all friendly here and all knowledge levels are welcome to take part. It’s all about having fun and enjoying the tasting. Who’s coming along this time? It’s a lovely, fresh wine! Really enjoyed the 2014 one. Em, I hate to be a grouch but the only reason I’m not in is the choice of wine. SB should stand for Satan’s brew. 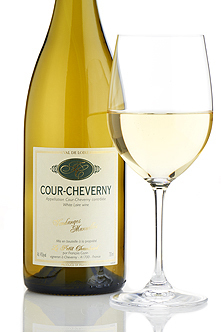 It’s years since I had a Cour Cheverny, but acidic will be in the tasting note. I expect a brexit-like split. I’ll watch with interest. Surely not even SB is as awful as that! I must admit, I’m not NZSB’s biggest fan either (and that’s an understatement…) but I’m optimistically hoping I’ll be pleasantly surprised by these choices. Likewise, not a huge fan of most NZSBs, though I recall enjoying the last Cour Cheverney I had! Oh, I think NZ SB has got a bad reputation recently - a victim of its own success. I’ve had some beautiful examples (albeit at the higher price range), which were aromatic, zesty and alive alive ho! Great food wine too, so I have no problems with it whatsoever! I wish I could attend the tasting - but, as feared, parents’ evening is getting in the way. Hope to be available for the April one! I’m not in it for the wine choice - I just enjoy sharing some booze with you lot for an hour or so! After reading the descriptions of the wines, I predict I’m going to enjoy the Cour Cheverny the most out of the two. Looking forward to the tasting, and to trying both the wines for the first time! Feel obliged to put in a few words on behalf of NZSB. Do people really not like Greywacke, or Lawsons Dry Hills, or … I find it hard to believe! Dog Point… Kumeau River… And Greywacke wild ferment is a stunning wine! I’ll make an exception for Greywacke wild ferment and Dog point isn’t bad, they’re made in the same winery. But really can’t drink standard NZSB. There so much other interesting stuff to drink instead! OK, so here goes… I like NZ Sauvignon Blanc. Perhaps there are poor examples in pubs, supermarkets etc that people come across on a daily basis… BUT, the good examples can be excellent. 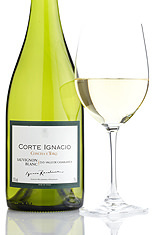 I enjoy all wines including NZSB - It’s not a favourite, but it has a unique place in the range of white wine tastes. Completely agree. These 3 are so different to the ‘market SBs’ out there. I popped into the showroom the other day and thought I’d pick up my bottles, but the Cour Cheverny was 2014 (a member of staff went to see if he could get a 2015, but returned empty handed). Got a bottle anyway and have now ordered the right vintage online. It’s all part of a cunning plan! I have the 2014 and am not planning on purchasing the 2015 for the tasting … I’ll be tasting the one I have ! There will obviously be differences to the 15 but that’s all the fun in it . One must draw the line somewhere… my alternatives to NZ SB will be a Meursault and a Mosel GG Riesling. I may also adopt that tactic and not in fact purchase any bottles for the tasting .